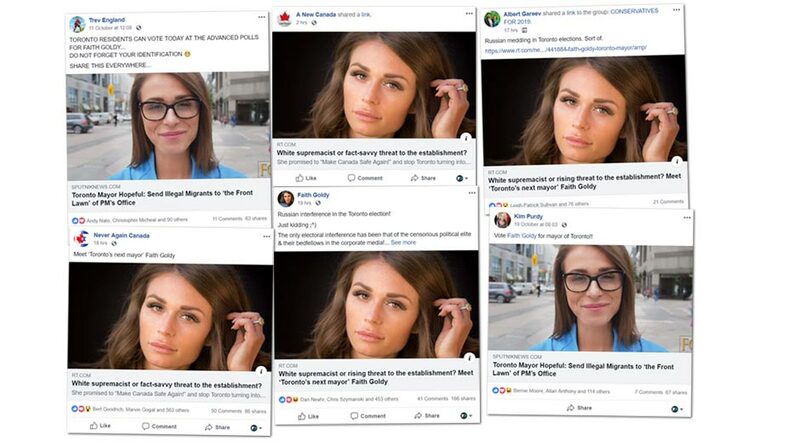 An analysis of social media activity by PressProgress shows the Russian propaganda articles have managed to circulate among Goldy’s supporters and ultranationalist far-right Canadian Facebook pages. Goldy is a former Rebel Media contributor who was fired from the far-right website after she praised a manifesto calling for a white ethno-state and appeared on a neo-Nazi podcast. RT is specifically identified as “the Kremlin’s principal international propaganda outlet” while Sputnik is said to reinforce “pro-Kremlin” messaging over social media. In 2017, the Moscow-based RT complied with the US government and formally registered as a “foreign agent” of the Russian government. The Russian government claims RT is a source for “alternative views,” but their slant editorially is less ideological than it is opportunistic, amplifying voices on opposite sides of divisive issues as part of a strategy aimed at fuelling “discontent” abroad. In Europe, RT and Sputnik have been influential in building and fuelling far-right online communities centered on anti-immigration and anti-refugee issues. 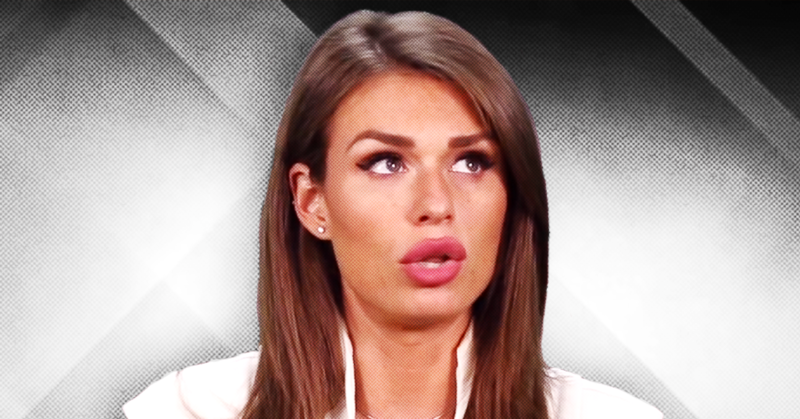 In recent years, RT has taken a special interest in giving platforms to hate figures like alt-right leader Richard Spencer, former Ku Klux Klan grand wizard David Duke and now, apparently, Faith Goldy too. Both articles from RT and Sputnik paint a sympathetic portrait of Goldy. 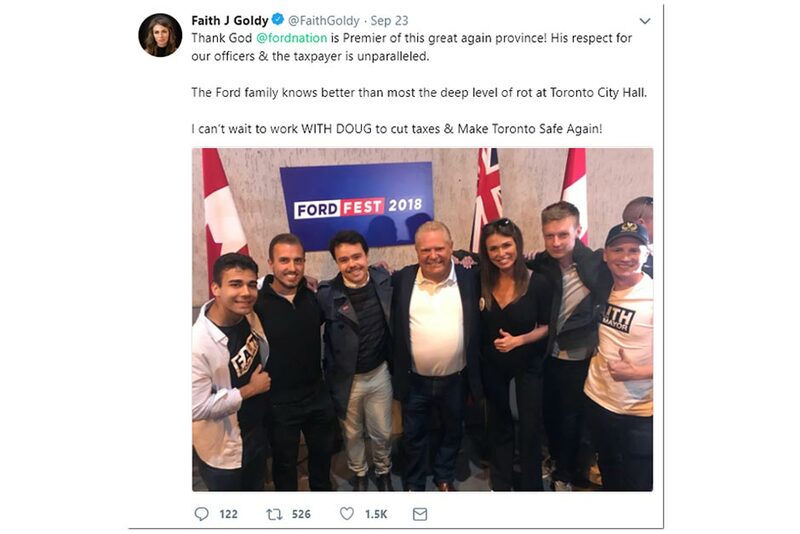 The propaganda channel also strikes a complimentary tone towards Ontario Premier Doug Ford for issuing an “ambiguous statement” rather than a “groveling disavowal of Goldy” after he posed for a photo with Goldy and members of her campaign team, which included members of the group ID Canada, an affiliate of the European “neo-fascist” group Generation Identity. Goldy, not surprisingly, welcomes the attention. 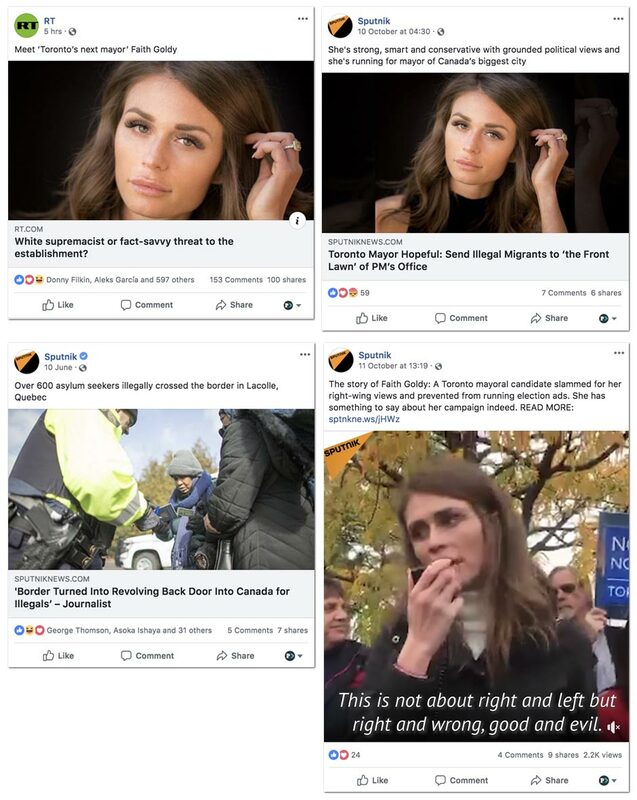 The Toronto mayoral fringe candidate recently appeared on a Sputnik podcast to criticize Canada’s immigration system. Goldy tweeted a link to RT’s puff piece Sunday night, nonchalantly calling it “Russian interference in the Toronto election,” before claiming she was “kidding” and then accusing “the censorious political elite and their bedfellows in the corporate media” of being the ones meddling in Toronto’s municipal election. Russian interference in the Toronto election! The only electoral interference has been that of the censorious political elite & their bedfellows in the corporate media! Ironically, one person who does not subscribe to that theory is Goldy’s former employer, Rebel Media’s Ezra Levant. Like his “bedfellows” in the media party and political establishment, the far-right pundit isn’t covering Goldy’s campaign either. Not because he disagrees with Goldy’s extremist ideas, but because she’s “marginal” and her campaign is a “Twitter vanity project” that’s all about building up followers on social media. 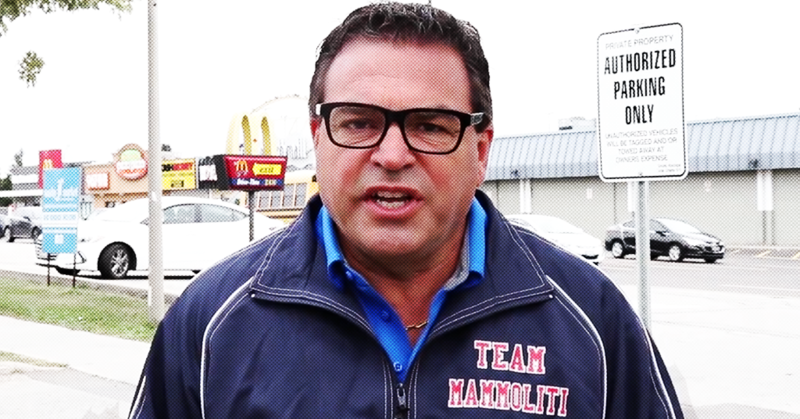 Will this be the year Toronto waves goodbye to Giorgio Mammoliti? The “loyal” ally of Ontario Premier Doug Ford has been a Toronto city councillor for the last 23 years, despite a long list of controversies and scandals – but that could change after voters in Toronto go to the polls on Monday, October 22.